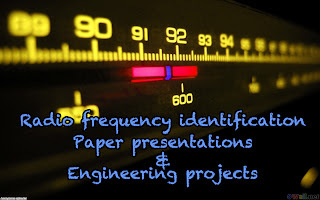 Radio frequency identification : BE project / Paper presentation ~ Engineering projects ideas for final year students & paper presentations collection blog. 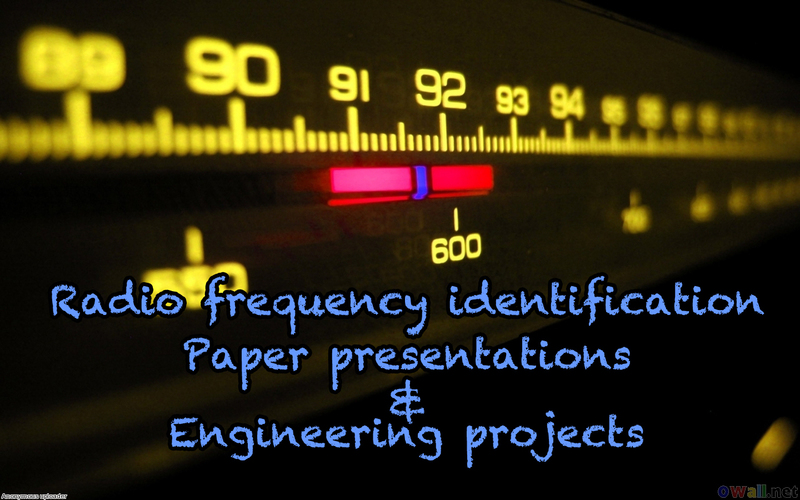 RFID : Be project / engineering paper presentations. The radio frequency identification is an developing technology in the communication and tracking industries. According to the wiki, "This technology uses the radio waves to transfer from an electronic tag called the radio frequency identification tag, which is attached to the objects, used to track the object." Engineering projects for communication engineering students. This projects is an patent paper, that can be used by students for educational purpose. The BE / B.tech projects done by engineering students need to be innovative and trending. engineering students who wish to do their projects in the Communication, Radio frequency, transmission, tracking sectors can select this as a project. Being this project has been implemented real time, it can also be used for communication paper presentation for competitions.